While largely forgotten by Americans today, between 1979 and 1992 America was transfixed by the brutal, vicious war between the leftist Farabundo Marti National Liberation Front (FMLN) and the U.S.-backed military government. Even now, more than twenty years after the Chapultepec Peace Agreement brought an end to the fighting, the war is never far from the mind of locals, and remnants of the conflict are everywhere. Unlike the U.S-backed war against the Contras in nearby Nicaragua, El Salvador’s conflict was not fought by isolated bands of guerrillas in far-flung, sparsely populated corners of the country. The left-wing FMLN was more than capable of taking the war to El Salvador’s cities, and – in 1981 and 1989 – launched large “final offensives” against the city’s main population centers, including San Salvador, in an effort to spark a popular uprising and end the war. 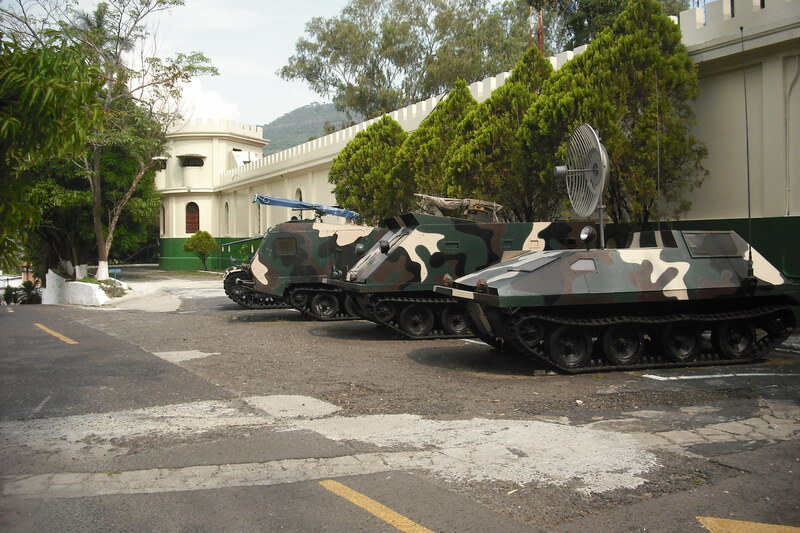 Among the guerrilla targets during the 1989 offensive in San Salvador was the El Zapote military barracks, which now houses the bizarre – but strangely fascinating – national Military History Museum. As can be expected, the museum delivers the “official” line and gives a very rose-tinted and one-sided view of the civil war, but boasts an impressive quantity of military vehicles and weapons. 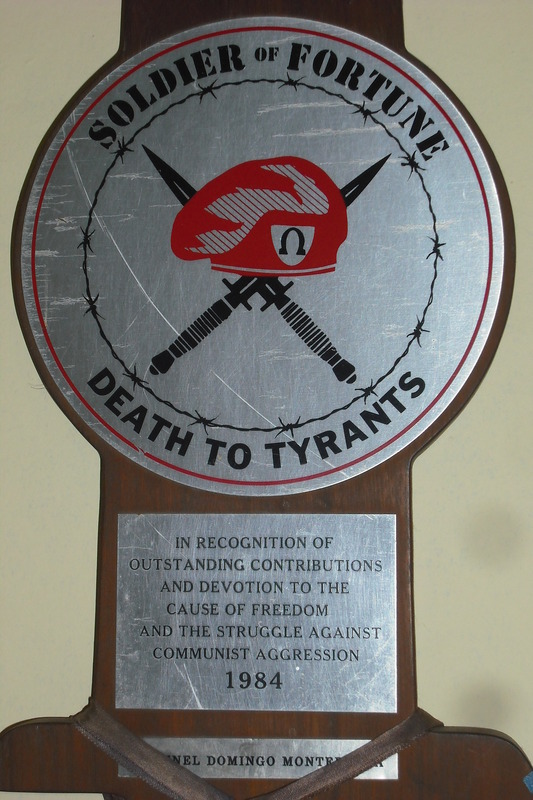 Nestled in one corner is a plaque given by Soldier of Fortune magazine to Colonel Domingo Monterrosa, the mastermind of the slaughter of over 800 unarmed civilians at El Mozote in December 1981. 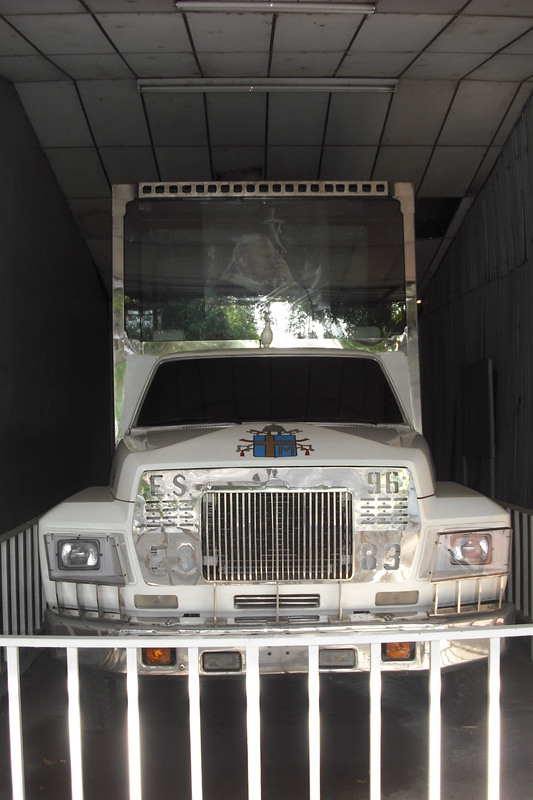 Among the most popular exhibits – at least for visiting locals – is the “Pope-mobile” used to shuttle around Pope John Paul II during his 1981 visit to the country. While the museum gives short shrift to the Army’s brutal role in the civil war, it proudly fawns over the achievements of El Salvador’s highly lauded 380-man contingent in Iraq. While few in number, the Salvadorans gained an excellent reputation among coalition officials for their fighting prowess. In one notable incident, a 25-year old corporal stabbed several Iraqi insurgents in one of the few recorded instances of hand-to-hand combat of the war. 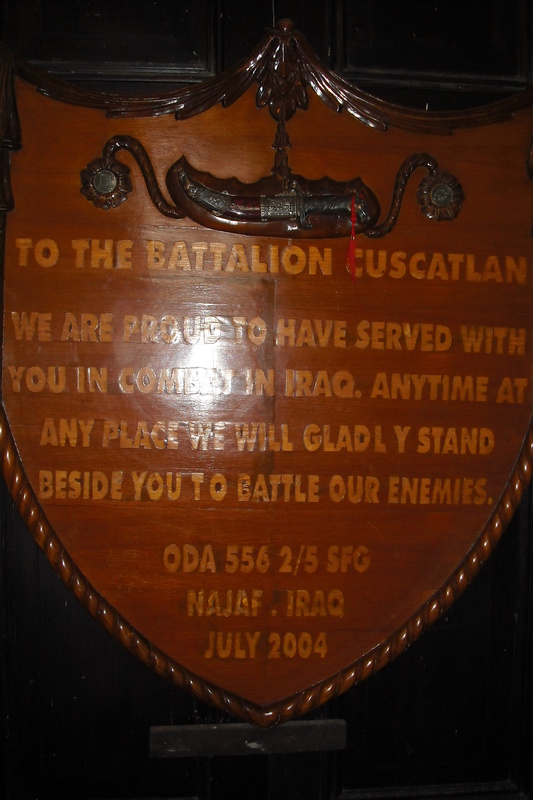 Among the items on display is a plaque given to Salvadoran soldiers by a US Special Forces team in Najaf. 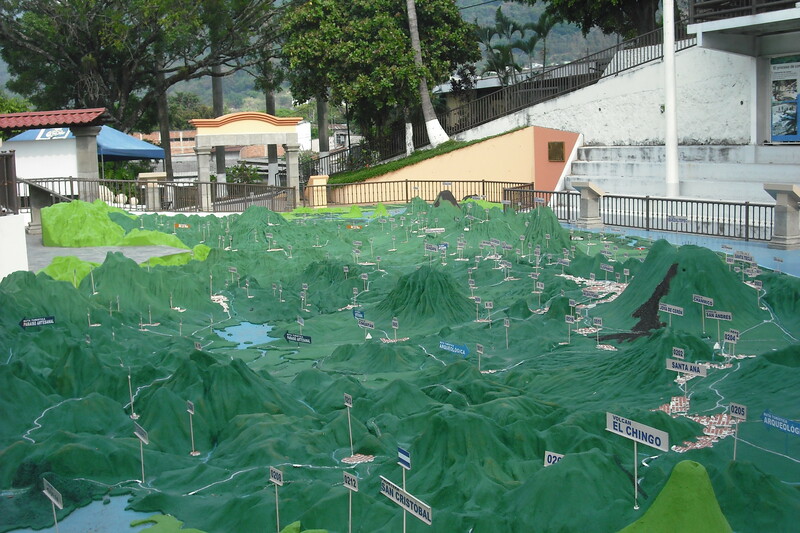 The museum’s most impressive display is, without a doubt, a massive 32 metre by 19 metre relief map of El Salvador. Given the incredibly rugged terrain, one can see why the FMLN was able to effectively mount large-scale countrywide operations for much of the war. For the other perspective on the war, one must travel to Morazán province, in El Salvador’s northeast corner. For the duration of the war, Morazán Libre was a guerrilla stronghold, considered a “strategic rearguard” area by the FMLN leadership. 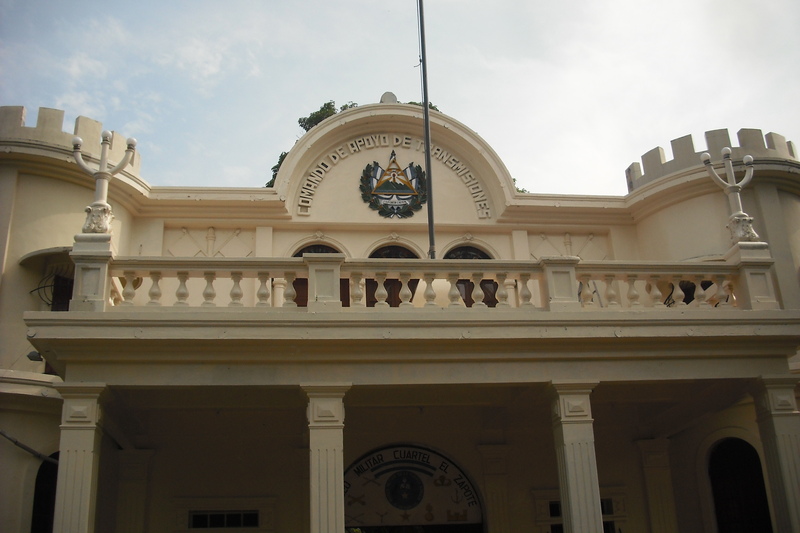 While the government managed to remain in control of larger garrison towns in the province, the FMLN was largely in control of rural Morazán for the duration of the war. Nowadays, Morazán is accessible via highway from San Salvador, about three hours away. To locals, and those who covered the war as journalists – such as my father – such a trip would have been considered extremely hazardous during the war. The road to Morazán was constantly blocked by guerrilla sabotage, and buses and civilian vehicles were “expropriated” and burned to slow the flow of army reinforcements into Morazán. Now the only real danger is your car breaking down, as mine did, repeatedly. Local residents, such as the ones that operate this tow truck company, explained that a common guerrilla tactic was to destroy power poles and ambush government forces that came to conduct repairs before melting back into the mountains. Because of its importance to the FMLN, Morazán was the scene of heavy fighting as the government’s elite, American-trained Immediate Reaction Battalions – such as the Atlatcatl and Cazador (Hunter) Battalions – repeatedly launched offensive sweeps through guerrilla-held territory. While these operations often caused heavy casualties to the guerrillas, they often did so at the expense of the civilian population. Among the most notorious incidents of the civil war was the December 11, 1981 massacre in the village of El Mozote, about 10 kilometers from the paved road going into the province, and about 3 kilometers from the town of Perquin. There, for several days, members of the Atlatcatl battalion of the army under the command of Colonel Domingo Monterrosa murdered at least 767 civilians, many of them women and children. The villagers had ignored guerrilla warnings to flee towards the Honduran border, as the largely Protestant village had never offered much support to the FMLN, which was largely supported by Catholics. Only one of the villagers present, 38-year old Rufina Amaya, survived, having witnessed the decapitation of her husband the murder of her four children. 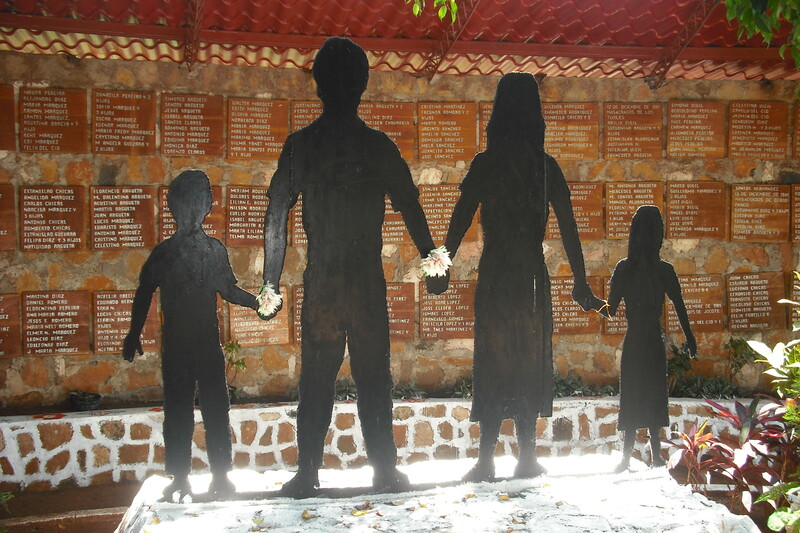 Today, the black silhouette of a family commemorates the victims of the massacre. Several wooden boards hung nearby list the names of the victims whose bodies have been recovered. 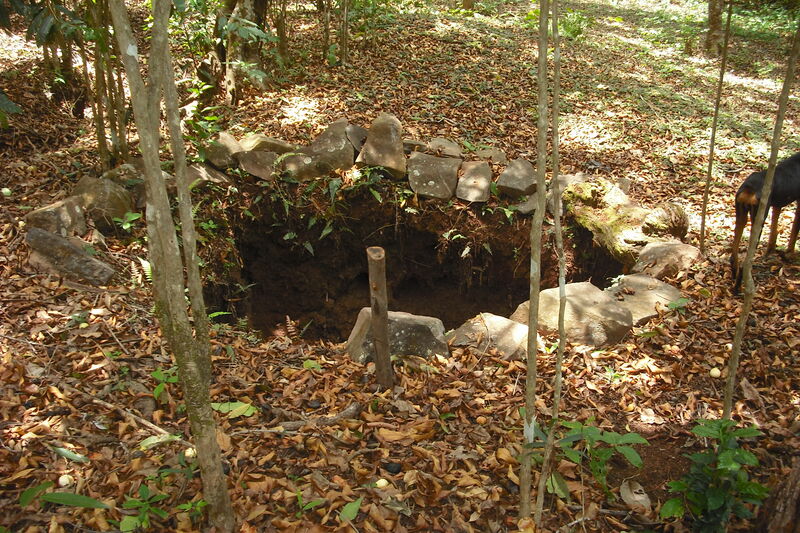 The area surrounding the nearby town of Perquin was the FMLN’s headquarters for the duration of the war. 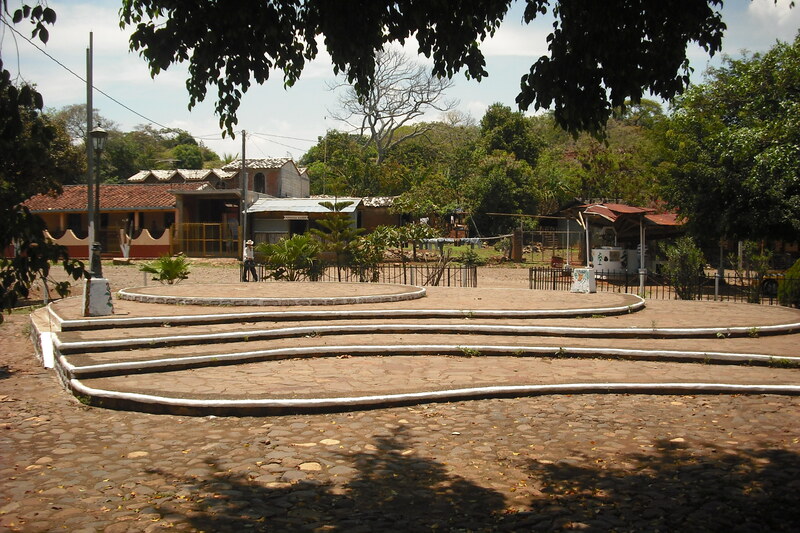 Today, the town is the site of the fascinating Museum of the Salvadoran Revolution. This is an absolute must-see for those interested in the civil war. The guides – all former combatants – can offer a personal perspective on the war that you can’t find anywhere else. My guide, for example, told us that many of the weapons on display were purchased from Contra fighters in neighboring Nicaragua. “They may have been our ideological enemies, but business is business,” he said. 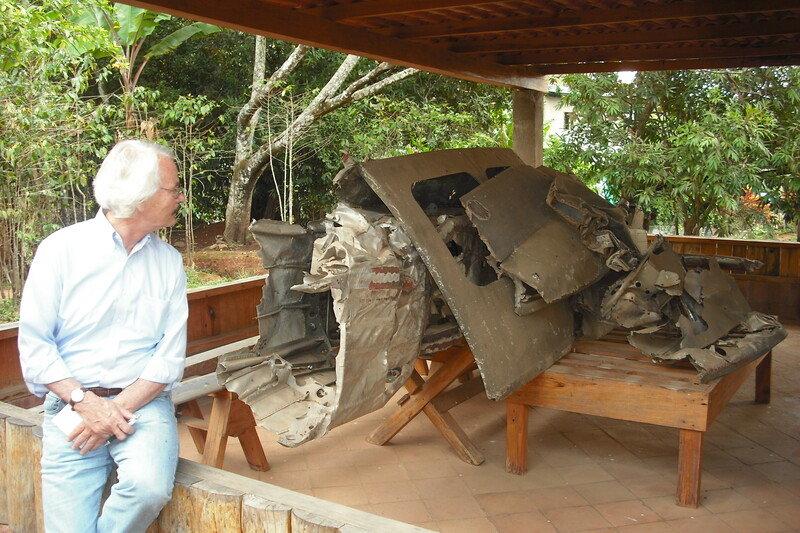 Among the most interesting exhibits is the wreckage of a Huey helicopter which carried Colonel Domingo Monterrosa, the architect of the El Mozote massacre, to his death in 1984. 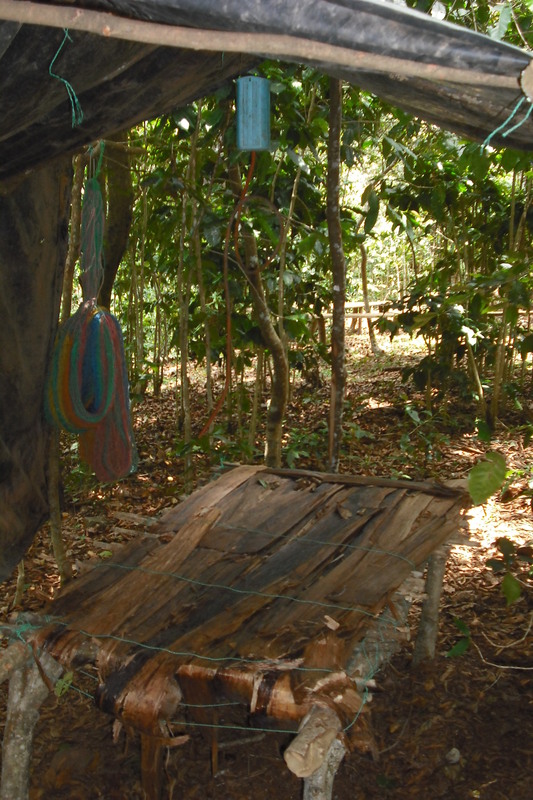 To kill him, the FMLN left a booby-trapped radio transmitter to be captured and taken as a trophy from the area. Once it was on board the helicopter and in flight, a radio signal triggered the bomb, killing Monterrosa and the rest of the passengers. At the time, FMLN militants said the radio signal had been triggered by an ordinary garage door opener. On a personal note, my father, who was covering the war as a journalist, was delayed at a road block and narrowly missed taking Monterrosa’s offer of a ride in the helicopter that day. 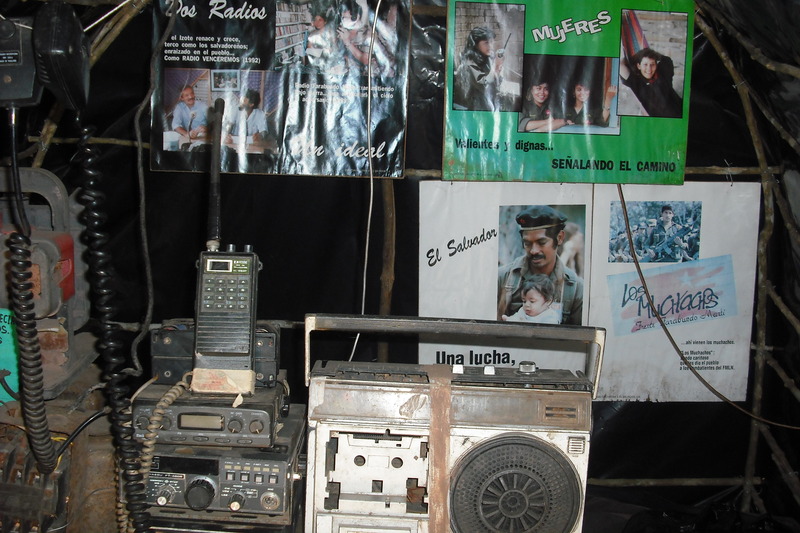 The museum also includes radio transmission equipment used to transmit Radio Venceremos, the official FMLN propaganda station. Despite the best efforts of the Salvadoran military and their American advisors, the station was able to broadcast uninterrupted until the end of hostilities. Because of the site’s importance to the FMLN command, it was repeatedly bombed by the government’s A-37 Dragonfly jets. Several craters – caused by 500 lb. bombs – can still be seen in and around the museum grounds. 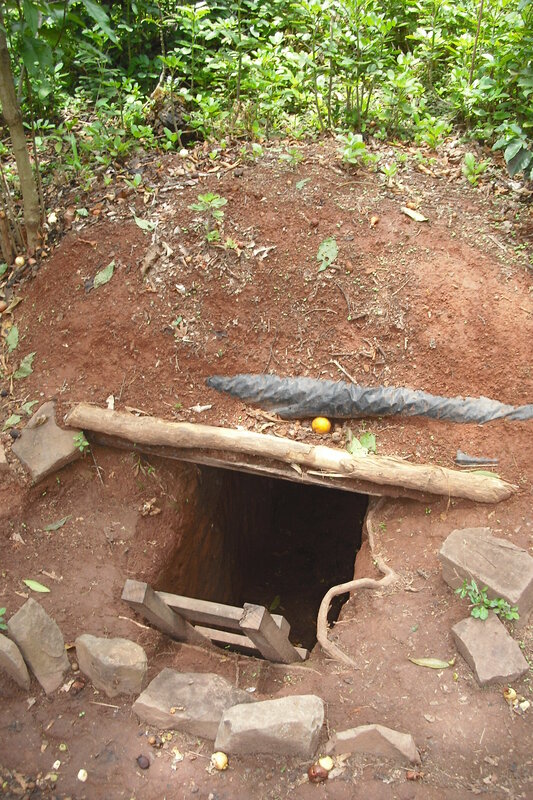 The museum also includes the remnants of a military field hospital, as well as dugouts and tunnels used by the guerrillas. Tags: Bernie Debusmann, Central America, Colonel Domingo Monterrosa, El Salvador, El Salvador Military History Museum, El Zapote military barracks, Farabundo Marti National Liberation Front, FMLN, Morazán, Morazán Libre, Morazán province, Museum of the Salvadoran Revolution, Soldier of Fortune magazine. Bookmark the permalink. Thanks for a nice read to start out my morning dude. This guy is a great addition to The Velvet Rocket. I’m glad he got picked up because he obviously gets it. Great piece! I loved all of those monuments and museums, thanks for taking me back to beautiful El Salvador. Jesus, did they really use those mortars? If so, I had no idea that the rebels were bringing that level of firepower to bear on the government forces. What would have been the target of mortars of that size? Those are not mortars that can be lugged around by soldiers on foot scrambling through the mountains. I wouldn;t trust one of those bad boys now given how rusty they are because the pressure wave would probably rupture the barrel and it would blow up in my face! 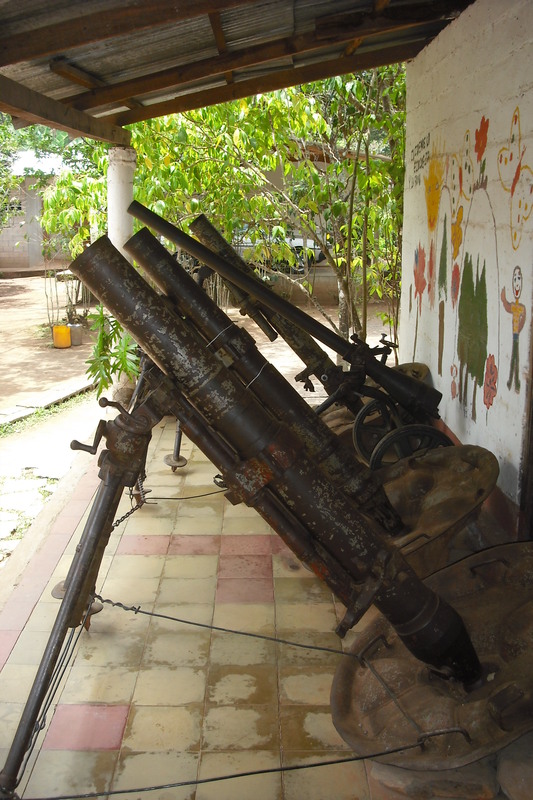 It’s my understanding that the mortars were mainly transported using hijacked vehicles, and that they were used extensively during larger FMLN operations against provincial capitals and battalion HQ’s. During the 1989 offensive in San Salvador, Ilopango airbase came under sustained mortar and recoilless rifle fire for the first few days of the fighting. If you’re interested in the subject, I recommend the book “Strategy and Tactics of the Salvadoran FMLN Guerrillas: Last Battle of the Cold War, Blueprint for Future Conflict” by Gustavo Perdomo and David E. Spencer. It’s on Amazon and also has a Kindle edition. Very detailed look at the FMLN’s conduct of the war. Thanks for the additional info Bernie. I didn’t know the FMLN were that organized so I guess I need to learn more about that. I’ll get that book. How safe is it to travel around El Salvador and the other Central American countries? I speak Spanish which I think would help, but here in Holland all we ever hear about are the advices to be careful and make it seem like we’ll be robbed as soon as we arrive. What is it really like? Am i okay to travel with my camera and my computer in Central America? Very insightful article, learnt a lot, thank you Bernie. It really depends where you go. 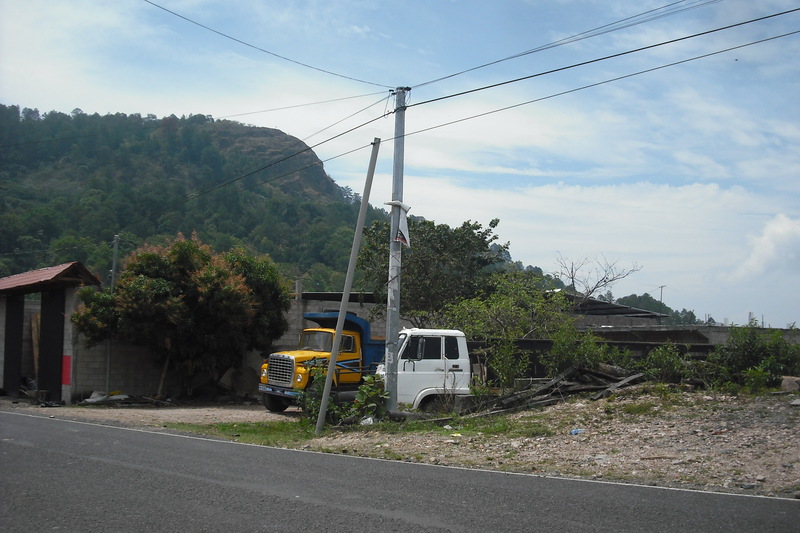 Rural areas such as Morazan are quite safe, as are beach areas such as La Libertad. 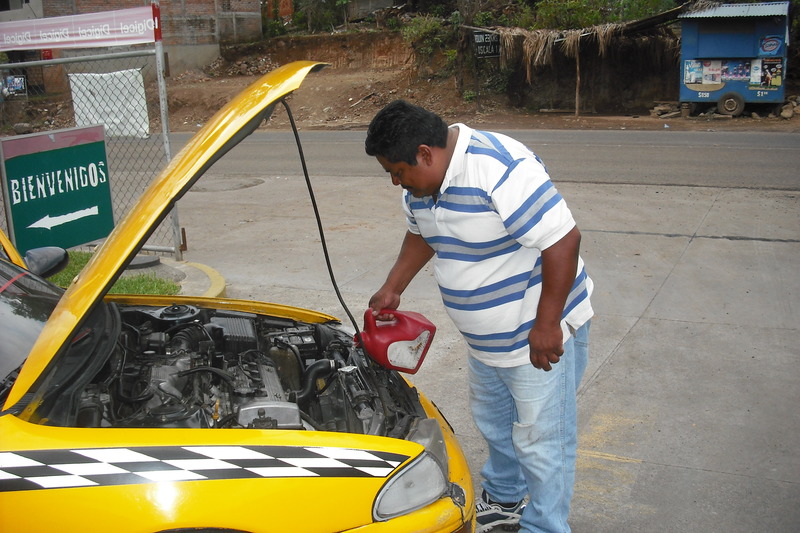 San Salvador is another matter, and does require a little bit of care. For example, I was out doing stories in the downtown area of the city and was warned not to walk around after dark with the camera under any circumstances. But overall, as long as you’re smart about things, I’d say El Salvador isn’t any more dangerous than any other developing country. I highly recommend you go, but be careful where you take the camera and computer. As a foreigner you’re unlikely to be the victim of a crime. The other Central American countries are a mixed bag. Honduras is one of the most violent places on earth, and the chances of being robbed in Tegucigalpa or San Pedro Sula are fairly high. A few years ago I covered the murder of a British tourist who was killed for his camera. Guatemala has some bad spots, but none that you’d probably be visiting as a tourist. Just take care, because things do happen on occasion. Nicaragua, Panama, Costa Rica and Belize are all quite safe for visitors. I’m happy to provide more specific and detailed information on each country if you’d like. Thank you, Bernie :) I have already visited Belize and Costa Rica but would love to hear any tips you can share on the others countries. I guess maybe Honduras and Guatemala the most since you mentioned there could be problems? Hi Heidi, sorry for the delayed response. Have been moving and its been a bit hectic. Why don’t you send me an e-mail at Bernd.Debusmann@gmail.com and I’ll be happy to help.